Another chicken recipe, yet again...hahah! 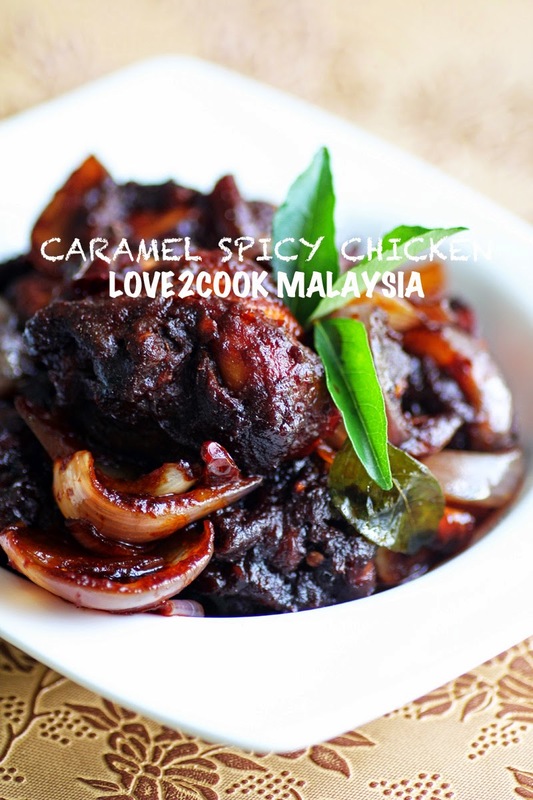 Serve with hot steamed rice or have them just like that....my son and I skipped second helping on rice but enjoyed the caramelised chicken pieces to the bits. Try it and let me know! The cooking caramel sauce I bought from Tesco. Blend smooth ingredients (A). Take 2 tbsp for marination. Marinade chicken for 30 minutes. 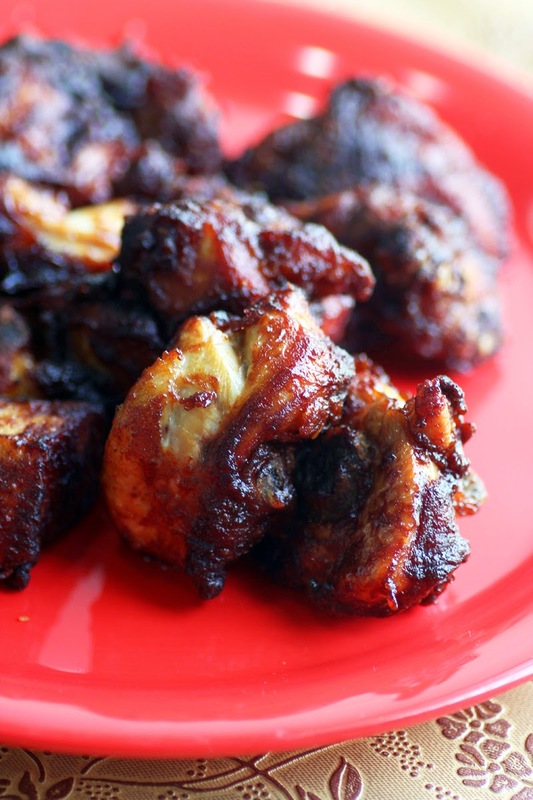 Deep fry the marinated chicken pieces until cooked. Drain excessive oil and set aside. 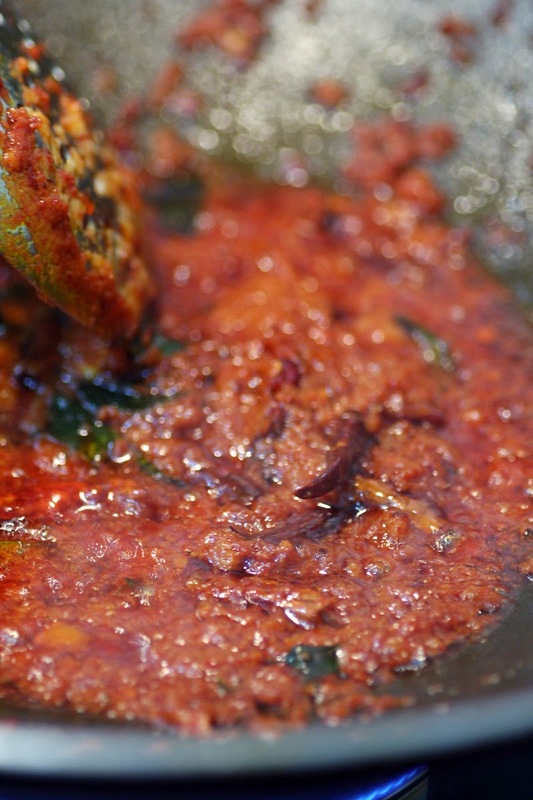 Reduce oil and sauté curry leaves, dried chillies, onion and remaining blend ingredients until fragrant. Add dried chilli paste and stir for few minutes. Add cooking caramel, oyster sauce, sesame oil and followed by water and salt. Allow to boil a few times, keep stirring. Add in the fried chicken pieces. Mix well until the chicken pieces are well coated with the sauce. Check for salt and dish out. *Add spring onions in the end. Can i know wer to get the cooking caramel?? Hi dear...from Tesco ma. I've posted the pic on my fb page. Simply awesome and delicious looking chicken. 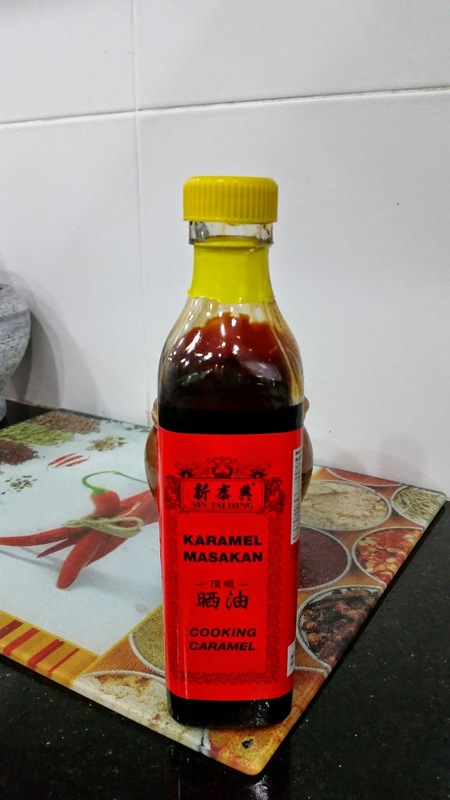 Do you prepare the caramel sauce at home or you get it from store. Would try it out very soon. Hi Deepa...the cooking caramel sauce is from Tesco. I've just updated the pic. Thanks dear! those close up shots are killing me... gosh... where do i go now??? Adoi, Sri! Luckily I got caramel sauce in the fridge. This is one dish that I have got to cook! Wow, looks like a yummy dish! 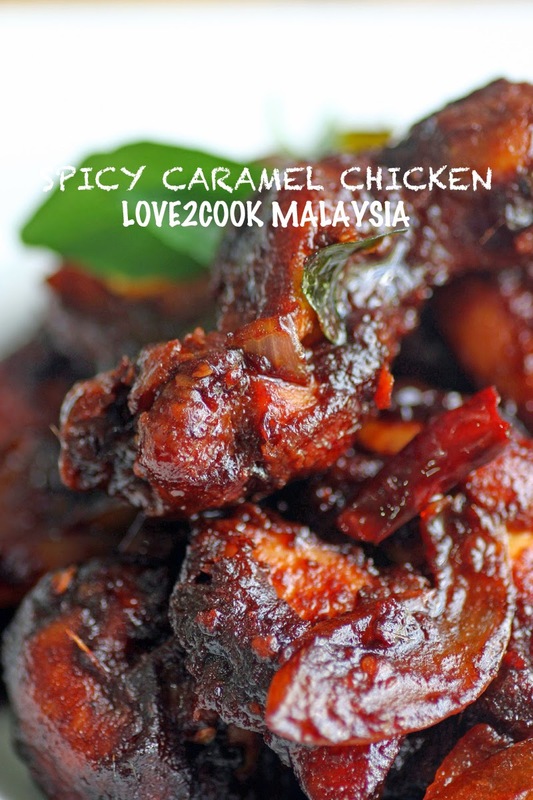 I've yet to try caramel chicken........ Yum! 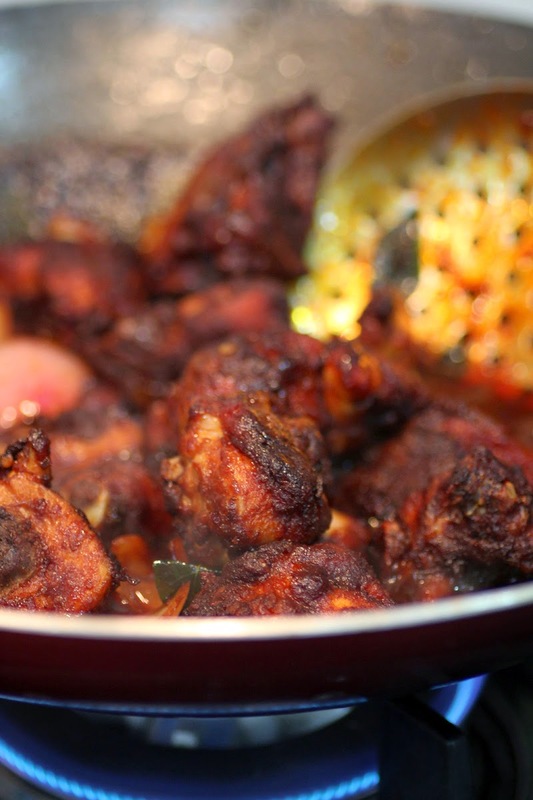 Yummy chicken...id love to try this recipe sri...im sure it taste as gud as it looks! !